During my sabbatical from novel-writing, I haven’t exactly been idle. Here are a couple of things that are going on right now. Turning my short story ‘Axe’ into a screenplay. I had been working closely with a Scottish screen-writer to turn my short story ‘Axe‘ into a drama for TV or the ‘big screen’. Currently, many scenes have been written, both from the story itself and from additional narrative material I have provided – and it’s looking good! 1. Do nothing, in the hope that the screen-writer may be able to resume the project at a later date; this of course runs the risk of the whole project stalling completely. 2. Try to finish the script myself; this is not my area of expertise, and I am, after all, on a writing sabbatical. 3. Get together with my literary agent and look for another screen-writer; my previous collaborator would be okay with that, but it would need someone who could build seamlessly onto the work already done. I’ll let you know what turns up. I Tamburisti di FIREnze. If you don’t already know about Burning Man, find out about it. It’s a festival, for want of a better word, or rather an annual gathering of people in the middle of a desert in Nevada, USA. Whilst there, people perform, make things, share, live together, interact, laugh, work, and generally enjoy themselves. But the main thing is that they do so entirely without money transactions, or even barter transactions. Everything that is provided is a gift entirely without strings, given in the hope that everything will be paid forward in some way. It seems to work, right down to the clearing away of site debris afterwards. This year the theme is The Renaissance. I was contacted a few days ago by the Project Coordinator of ‘Camp Thump Thump’, a group that regularly attends Burning Man, giving lessons in drum-making and drumming, letting people build, play, and take away their own drums. For 2016 the group has adopted a theme based on renaissance Italy – the time of the Borgias, the Medici, and Leonardo da Vinci – and have reinvented themselves as I Tamburisti di FIREnze for the duration of this year’s Burning Man. The Coordinator asked me to provide some Renaissance-flavoured text for their use, and I have been working on pen-portraits of (fictitious) 16c Guild-members for her. I’m not yet sure whether or how my work will be used, but again if it is, I’ll let you know. It happened that War saw a beautiful woman, whose name was Peace. Desiring her, he took her away to live with him. But Peace was never happy, and when he asked her why, she answered that it was because she was cold, for though War is hot he can never pass his warmth on to anyone. One day a knight, whose name was Honour, rode by. The knight stopped, took off his cloak, and unsheathed his sword. Having cut his cloak in two, he put one half of it around Peace’s shoulders to warm her, the other half round his own, and rode away. From that moment, to his name was added Martinus Martianus, Warlike, and the word Generous was written on the cloak about his shoulders, for it takes an act of generosity to give warmth to anyone. Once there was a town. In the middle of the town stood a castle, and in the middle of the castle stood a high tower, and at the highest point of the tower was the chamber of a princess. Her name was Claire Pellucida, and the people of the town loved her, because she was pretty, and her eyes shone. They found her wise, because they would come to her and ask her what she could see from the window of her chamber, and she would tell them the most wonderful things. And the town itself was called Pellucida, in honour of its wise and pretty princess. The townspeople were amazed, and very happy that they had such a wise princess, who could see so far and tell them such wonderful things. But visitors from the north laughed at them. The townspeople were amazed, and very happy that they had such a wise princess, who could see so far and tell them such wonderful things. But visitors from the east laughed at them. But the people of the town believed their princess, and one day, when Claire Pellucida had grown into a handsome matron, they assembled in the courtyard of the castle and called up to the princess, “Princess Claire Pellucida, tell us what you can see to the south. The townspeople were amazed, and very happy that they had such a wise princess, who could see so far and tell them such wonderful things. But visitors from the south laughed at them. The townspeople were amazed, and very happy that they had such a wise princess, who could see so far and tell them such wonderful things. But visitors from the west laughed at them. But the people of the town still believed their princess, as they had always done. The night after she had looked to the west, and told the people of the town what she had seen there, Princess Claire Pellucida was wakened by a great glow outside the window of her chamber. She rose from her bed, and looked out of her window, to the west. There was the silver sea, the copper sunset, the island with its city of yellow-veined marble; and more marvellously, a silver river was running from the silver sea right to her castle. And on that silver river was a great, golden dhow. And on that great, golden dhow stood tall mariners and fine ladies, all dressed in saffron cloaks sewn with golden-thread. There were circlets on their heads of interwoven white gold and yellow gold, and torques of copper round their necks and wrists, and rings of gold upon their fingers. And they saluted and bowed, and called out to the princess. So Princess Claire Pellucida came down from her chamber in the highest point of the tower, in the centre of the castle; and she sailed away with the tall mariners and fine ladies, to the sunset, to the silver sea, to the island city with its towers of yellow-veined marble. And there she ruled as their Queen for ever. But that is not the end of things. The next morning, the people of the town of Pellucida gathered in the courtyard of the castle, and called up to their princess. But she did not answer. One brave townsman entered the castle, and climbed the tower, and from the window of the chamber at its highest point, he called sadly for five of his friends to join him. In the chamber, the six men stood, and looked down at the bed, on which lay Princess Claire Pellucida. She lay smiling and peaceful, as though she slept, and in her face the six men could see the fleeting prettiness that had been there when she was a girl, the beauty that had been there when she was a grown woman, the loving gentleness that had been there when she was a matron, and still, still the stately splendour of their dear princess in old age lingered also. But they knew that she was not sleeping. She had left them, and was dead. But even that is not the end of things. The six men carried her, with great sadness and reverence, down to the townspeople, and they all processed solemnly out of the town, and laid the body of the princess – as was their custom – a mile away, in the great, open wilderness that surrounded the town for mile upon mile, for the wild beasts and the birds to devour. The townspeople continued to tell stories to their children, of all the wonderful things that the princess had seen from her chamber in the castle tower, and of all the things she had told them. 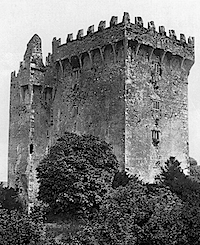 The children believe the stories, and worshipped the tower where the princess had lived. They told the same stories to their own children. These children did not believe them, but still they told the same stories to the next generation. The children of that next generation believed nothing at all, except what travellers from the north, from the east, from the south, and from the west told them. And who knows if that is the end of things! I’m thinking of putting together a collection of my short stories – most of which you have not seen here on the web site, and presenting them for publication. What do you think? If you would like to read through the short stories that I have published so far on this web site, please click here.